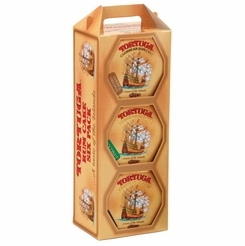 Bolos Levedos Portuguese Muffins 14 oz. Home / Pantry Items / Breakfast Pantry / Fine Teas / Food Favorites with Tea & Coffee / Bolos Levedos Portuguese Muffins 14 oz. Home / New England Classics / Breakfast Pantry / Fine Teas / Food Favorites with Tea & Coffee / Bolos Levedos Portuguese Muffins 14 oz. Home / Specialty Grocery / Breakfast Pantry / Fine Teas / Food Favorites with Tea & Coffee / Bolos Levedos Portuguese Muffins 14 oz. Home / Foods of New England / Breakfast Pantry / Fine Teas / Food Favorites with Tea & Coffee / Bolos Levedos Portuguese Muffins 14 oz. Home / Hot GIFT Ideas / Senior Gift Ideas / Fine Teas / Food Favorites with Tea & Coffee / Bolos Levedos Portuguese Muffins 14 oz. Home / Pantry Items / Beverages / Fine Teas / Food Favorites with Tea & Coffee / Bolos Levedos Portuguese Muffins 14 oz. Home / Beverages / Fine Teas / Food Favorites with Tea & Coffee / Bolos Levedos Portuguese Muffins 14 oz. Home / Specialty Grocery / Beverages / Fine Teas / Food Favorites with Tea & Coffee / Bolos Levedos Portuguese Muffins 14 oz. Home / Pantry Items / Beverages / Food Favorites with Tea & Coffee / Bolos Levedos Portuguese Muffins 14 oz. Home / Beverages / Food Favorites with Tea & Coffee / Bolos Levedos Portuguese Muffins 14 oz. Home / Specialty Grocery / Beverages / Food Favorites with Tea & Coffee / Bolos Levedos Portuguese Muffins 14 oz. Home / Pantry Items / Breakfast Pantry / Gourmet Coffee / Food Favorites with Tea & Coffee / Bolos Levedos Portuguese Muffins 14 oz. Home / New England Classics / Breakfast Pantry / Gourmet Coffee / Food Favorites with Tea & Coffee / Bolos Levedos Portuguese Muffins 14 oz. Home / Specialty Grocery / Breakfast Pantry / Gourmet Coffee / Food Favorites with Tea & Coffee / Bolos Levedos Portuguese Muffins 14 oz. Home / Foods of New England / Breakfast Pantry / Gourmet Coffee / Food Favorites with Tea & Coffee / Bolos Levedos Portuguese Muffins 14 oz. Home / Hot GIFT Ideas / Senior Gift Ideas / Gourmet Coffee / Food Favorites with Tea & Coffee / Bolos Levedos Portuguese Muffins 14 oz. Home / Pantry Items / Beverages / Gourmet Coffee / Food Favorites with Tea & Coffee / Bolos Levedos Portuguese Muffins 14 oz. Home / Beverages / Gourmet Coffee / Food Favorites with Tea & Coffee / Bolos Levedos Portuguese Muffins 14 oz. Home / Specialty Grocery / Beverages / Gourmet Coffee / Food Favorites with Tea & Coffee / Bolos Levedos Portuguese Muffins 14 oz. Home / Pantry Items / Breakfast Pantry / Biscuits & Breads / Bolos Levedos Portuguese Muffins 14 oz. Home / New England Classics / Breakfast Pantry / Biscuits & Breads / Bolos Levedos Portuguese Muffins 14 oz. Home / Specialty Grocery / Breakfast Pantry / Biscuits & Breads / Bolos Levedos Portuguese Muffins 14 oz. Home / Foods of New England / Breakfast Pantry / Biscuits & Breads / Bolos Levedos Portuguese Muffins 14 oz. Home / Local Portuguese Foods / Portuguese Breads / Bolos Levedos Portuguese Muffins 14 oz. Home / Pantry Items / Global Favorites / Local Portuguese Foods / Portuguese Breads / Bolos Levedos Portuguese Muffins 14 oz. Home / Specialty Grocery / Global Favorites / Local Portuguese Foods / Portuguese Breads / Bolos Levedos Portuguese Muffins 14 oz. Home / Pantry Items / Hometown Food Favorites / Global Favorites / Local Portuguese Foods / Portuguese Breads / Bolos Levedos Portuguese Muffins 14 oz. Home / New England Classics / Hometown Food Favorites / Global Favorites / Local Portuguese Foods / Portuguese Breads / Bolos Levedos Portuguese Muffins 14 oz. Home / Foods of New England / Hometown Food Favorites / Global Favorites / Local Portuguese Foods / Portuguese Breads / Bolos Levedos Portuguese Muffins 14 oz. Home / Specialty Grocery / Hometown Food Favorites / Global Favorites / Local Portuguese Foods / Portuguese Breads / Bolos Levedos Portuguese Muffins 14 oz. Home / Foods of New England / Local Portuguese Foods / Portuguese Breads / Bolos Levedos Portuguese Muffins 14 oz. Home / Pantry Items / Breads & Stuffing / Bolos Levedos Portuguese Muffins 14 oz. Home / New England Classics / Breads & Stuffing / Bolos Levedos Portuguese Muffins 14 oz. Home / Specialty Grocery / Breads & Stuffing / Bolos Levedos Portuguese Muffins 14 oz. Home / Foods of New England / Breads & Stuffing / Bolos Levedos Portuguese Muffins 14 oz. 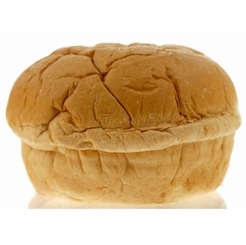 Home / BBQ & Grilling / Meats & Breads for Grilling / Breads & Stuffing / Bolos Levedos Portuguese Muffins 14 oz. Home / Hot GIFT Ideas / BBQ & Grilling / Meats & Breads for Grilling / Breads & Stuffing / Bolos Levedos Portuguese Muffins 14 oz. Home / Hot GIFT Ideas / Gifts For Him / Party Favorites / BBQ & Grilling / Meats & Breads for Grilling / Breads & Stuffing / Bolos Levedos Portuguese Muffins 14 oz. Home / New England Classics / Clambake & Seafood / Meats & Breads for Grilling / Breads & Stuffing / Bolos Levedos Portuguese Muffins 14 oz. Home / Foods of New England / Clambake & Seafood / Meats & Breads for Grilling / Breads & Stuffing / Bolos Levedos Portuguese Muffins 14 oz. Home / BBQ & Grilling / Clambake & Seafood / Meats & Breads for Grilling / Breads & Stuffing / Bolos Levedos Portuguese Muffins 14 oz. Home / Hot GIFT Ideas / BBQ & Grilling / Clambake & Seafood / Meats & Breads for Grilling / Breads & Stuffing / Bolos Levedos Portuguese Muffins 14 oz. Home / Hot GIFT Ideas / Gifts For Him / Party Favorites / BBQ & Grilling / Clambake & Seafood / Meats & Breads for Grilling / Breads & Stuffing / Bolos Levedos Portuguese Muffins 14 oz. Home / Pantry Items / Hometown Food Favorites / Meats & Breads for Grilling / Breads & Stuffing / Bolos Levedos Portuguese Muffins 14 oz. Home / New England Classics / Hometown Food Favorites / Meats & Breads for Grilling / Breads & Stuffing / Bolos Levedos Portuguese Muffins 14 oz. Home / Foods of New England / Hometown Food Favorites / Meats & Breads for Grilling / Breads & Stuffing / Bolos Levedos Portuguese Muffins 14 oz. Home / Specialty Grocery / Hometown Food Favorites / Meats & Breads for Grilling / Breads & Stuffing / Bolos Levedos Portuguese Muffins 14 oz. Home / Local Portuguese Foods / Hometown Food Favorites / Meats & Breads for Grilling / Breads & Stuffing / Bolos Levedos Portuguese Muffins 14 oz. Home / Pantry Items / Global Favorites / Local Portuguese Foods / Hometown Food Favorites / Meats & Breads for Grilling / Breads & Stuffing / Bolos Levedos Portuguese Muffins 14 oz. Home / Specialty Grocery / Global Favorites / Local Portuguese Foods / Hometown Food Favorites / Meats & Breads for Grilling / Breads & Stuffing / Bolos Levedos Portuguese Muffins 14 oz. Home / Foods of New England / Local Portuguese Foods / Hometown Food Favorites / Meats & Breads for Grilling / Breads & Stuffing / Bolos Levedos Portuguese Muffins 14 oz. Home / Pantry Items / Hometown Food Favorites / Breads & Stuffing / Bolos Levedos Portuguese Muffins 14 oz. Home / New England Classics / Hometown Food Favorites / Breads & Stuffing / Bolos Levedos Portuguese Muffins 14 oz. Home / Foods of New England / Hometown Food Favorites / Breads & Stuffing / Bolos Levedos Portuguese Muffins 14 oz. Home / Specialty Grocery / Hometown Food Favorites / Breads & Stuffing / Bolos Levedos Portuguese Muffins 14 oz. Home / Local Portuguese Foods / Hometown Food Favorites / Breads & Stuffing / Bolos Levedos Portuguese Muffins 14 oz. Home / Pantry Items / Global Favorites / Local Portuguese Foods / Hometown Food Favorites / Breads & Stuffing / Bolos Levedos Portuguese Muffins 14 oz. Home / Specialty Grocery / Global Favorites / Local Portuguese Foods / Hometown Food Favorites / Breads & Stuffing / Bolos Levedos Portuguese Muffins 14 oz. Home / Foods of New England / Local Portuguese Foods / Hometown Food Favorites / Breads & Stuffing / Bolos Levedos Portuguese Muffins 14 oz. Home / Pantry Items / Meats & Seafood / Breads & Stuffing / Bolos Levedos Portuguese Muffins 14 oz. Home / New England Classics / Meats & Seafood / Breads & Stuffing / Bolos Levedos Portuguese Muffins 14 oz. Home / Hot GIFT Ideas / Gifts For Him / Meats & Seafood / Breads & Stuffing / Bolos Levedos Portuguese Muffins 14 oz. Home / Foods of New England / Meats & Seafood / Breads & Stuffing / Bolos Levedos Portuguese Muffins 14 oz. Home / Meats & Seafood / Breads & Stuffing / Bolos Levedos Portuguese Muffins 14 oz. Home / Specialty Grocery / Meats & Seafood / Breads & Stuffing / Bolos Levedos Portuguese Muffins 14 oz. 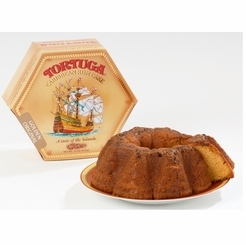 Home / Hot GIFT Ideas / Gifts For Him / Party Favorites / Meats & Seafood / Breads & Stuffing / Bolos Levedos Portuguese Muffins 14 oz. 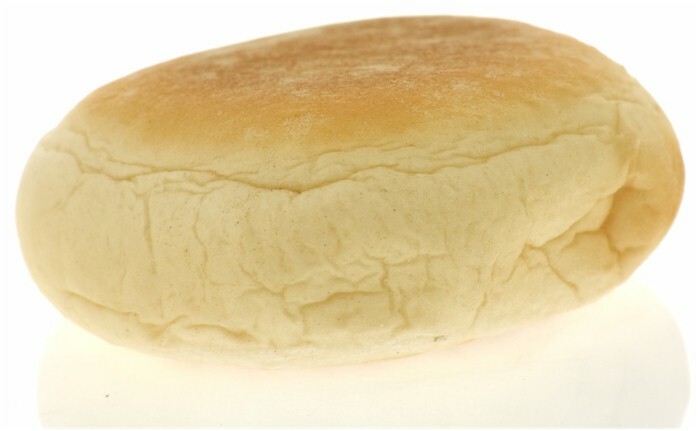 Home / Foods of New England / Brands (New England Favorites) / Amaral's Bakery / Bolos Levedos Portuguese Muffins 14 oz. Home / Popular Brands / Amaral's Bakery / Bolos Levedos Portuguese Muffins 14 oz. 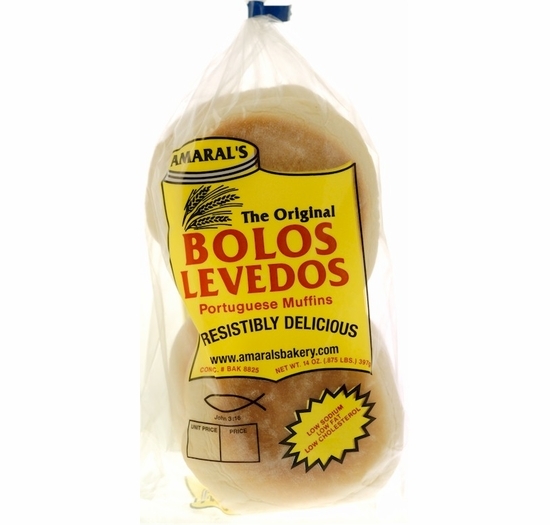 Home / Local Portuguese Foods / Portuguese Brands / Amaral's Bakery / Bolos Levedos Portuguese Muffins 14 oz. 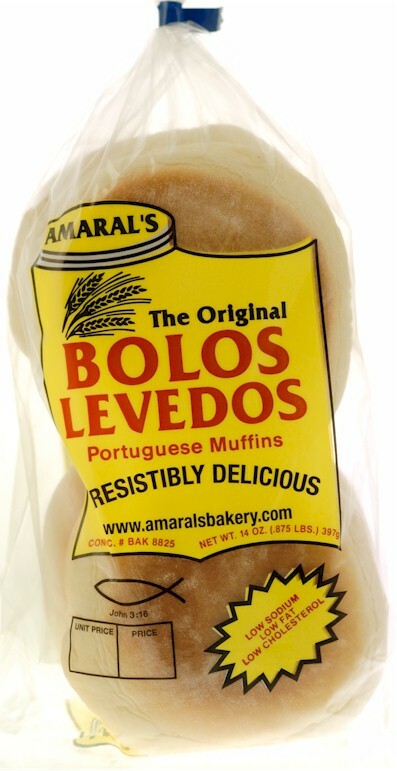 Home / Pantry Items / Global Favorites / Local Portuguese Foods / Portuguese Brands / Amaral's Bakery / Bolos Levedos Portuguese Muffins 14 oz. Home / Specialty Grocery / Global Favorites / Local Portuguese Foods / Portuguese Brands / Amaral's Bakery / Bolos Levedos Portuguese Muffins 14 oz. Home / Pantry Items / Hometown Food Favorites / Global Favorites / Local Portuguese Foods / Portuguese Brands / Amaral's Bakery / Bolos Levedos Portuguese Muffins 14 oz. Home / New England Classics / Hometown Food Favorites / Global Favorites / Local Portuguese Foods / Portuguese Brands / Amaral's Bakery / Bolos Levedos Portuguese Muffins 14 oz. Home / Foods of New England / Hometown Food Favorites / Global Favorites / Local Portuguese Foods / Portuguese Brands / Amaral's Bakery / Bolos Levedos Portuguese Muffins 14 oz. Home / Specialty Grocery / Hometown Food Favorites / Global Favorites / Local Portuguese Foods / Portuguese Brands / Amaral's Bakery / Bolos Levedos Portuguese Muffins 14 oz. Home / Foods of New England / Local Portuguese Foods / Portuguese Brands / Amaral's Bakery / Bolos Levedos Portuguese Muffins 14 oz. Sink your teeth into the freshest, most mouth-watering muffins you’ve ever had. These muffins are so fresh, so soft, and jam-packed with flavor you won’t even care if you have butter on them. Toast them up or eat them straight out of the bag; you’ll love them either way! Want to make a delicious Portuguese inspired breakfast sandwich? Fry up an egg and a slice of Gaspar’s Linguica, then toast the muffin, feel free to add cheese, and voilà! You have a tasty, satisfying Portuguese muffin breakfast sandwich! As an added bonus Amaral’s muffins are both low in sodium and cholesterol. (Contains six muffins) Also available with raisins. Amaral's Portuguese Sweetbreads, Muffins, Spicy Roasted Pumpkin Seeds and Biscuits are baked and shipped on Tuesday of each week to ensure freshness. Please check below to see when certain bakery items must be ordered by. 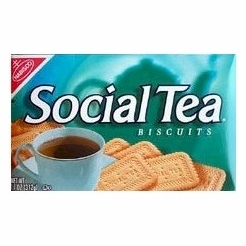 Nabisco Social Tea Biscuits 12.35 oz. 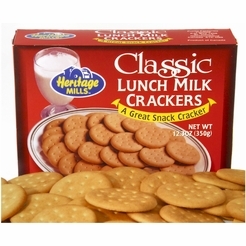 Heritage Mills Milk Lunch Crackers 12.3 oz.